An analysis of Ethan Frome should begins by considering the novel’s context. This is a topic suggestion on Ethan Frome Analysis from Paper Masters. Use this topic or order a custom research paper, written exactly how you need it to be. 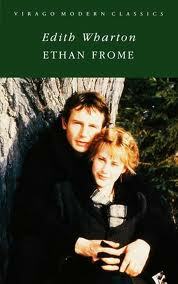 An analysis of Ethan Frome should begin by considering the novel’s context. The seventh novel from later Pulitzer Prize-winner Edith Wharton, the 1911 book tells a story set in a working-class New England town, the fictional Starkfield, Massachusetts. Most of Wharton’s other works focus on the elite New York society of which she was a member herself, so Ethan Frome marks a sharp departure in that sense. The thematic focus of Ethan Frome, however, fits perfectly within Wharton’s repertoire. The protagonist Ethan Frome is bound within the social conventions of his community. Not by New York society, but as Wharton demonstrates, it is not the society that matters but the turmoil it causes when its restrictions conflict with one’s desires. Ethan’s wife Zeena is portrayed as a villain dragging him down by illness and poverty, pushing his dreams of reaching for something more forever beyond his grasp. Mattie Silver becomes the object of Ethan’s desire. She represents an escape from Ethan’s wife, his town, and his narrow way of life, but it is an escape he ultimately cannot make. Ethan’s decision to finally submit to social mores mirrors the decisions made by characters in many of Wharton’s other works. The novel expresses the desire to go beyond social bonds, but also the final restraint of that desire. Maybe the message is that it is morally wrong, or maybe just that it is too great a task. Whatever Wharton’s intended message in Ethan Frome, analysis of the novel reveals what was surely her own personal struggle. Symbolism - Symbols in Ethan Frome research papers discuss the themes and ideas of the story. Literature Symbolism - Order a research paper on Literature Symbolism from Paper Masters. Paper Masters writes custom research papers on Ethan Frome Analysis and analyzes the novel and explain the possible meaning and message.